Chicago is a veritable mecca of delicious food. We are lucky to have such powerhouses as Stephanie Izard, Takashi Yagihashi, and Rick Bayless in our midst. Chef Bayless and his love for Mexican cuisine can be felt every time you get to indulge in his creations. 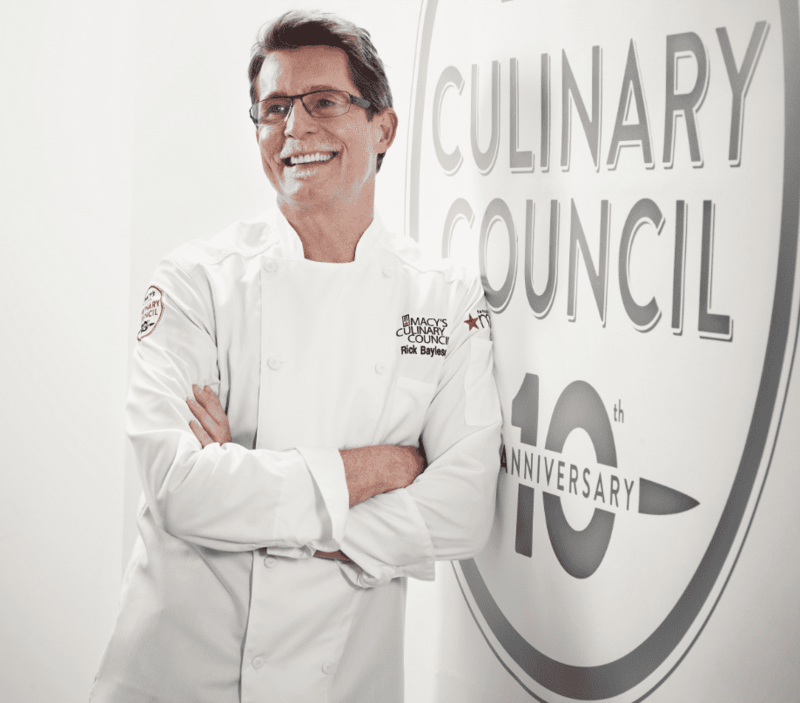 I’ve been able to do so several times thanks to the Macy’s Culinary Council and you will be able too! Next Wednesday, June 29 at 12 noon, you can join me, Chef Bayless and several other Chicagoans as we enjoy summertime eats that he has perfected. I’m SO crossing my fingers and hoping that guacamole makes an appearance. I first found Rick Bayless on our local PBS station several years ago through his show Mexico, One Plate at a Time. Because I could actually live off of Mexican food exclusively, as long as avocados are present, I continued watching. It’s not very often that a person not born in Mexico (he was born in Oklahoma by the way) can correctly embody the tastes of the country in an authentic way, and he has SEVERAL awards stating that he can and does. The last time I was able to view his demonstration at Macy’s he was paired up with Chef Takashi and we had so much fun! I can only imagine how much food will be present for me to enjoy next week! I’ll be sure to include them in upcoming summer celebrations for our houseful too! So, do you want to join us next week? Here are the details. Perks: With any $35 purchase in the home department you will receive a $10 Macys gift card and a copy of More Mexican Everyday which Chef Bayless will sign! If you need more information or want to see other events that Macy’s will be hosting, you can head to http://bit.ly/RickSpring16 . Hopefully, I’ll see you next Wednesday! This blog post is sponsored by Everywhere Society on behalf of Macy’s. All thoughts and opinions are mine.